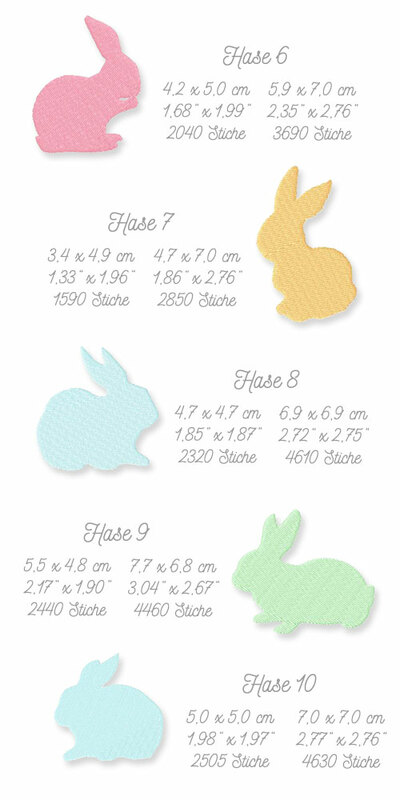 Bring spring into your home with these adorable motifs. 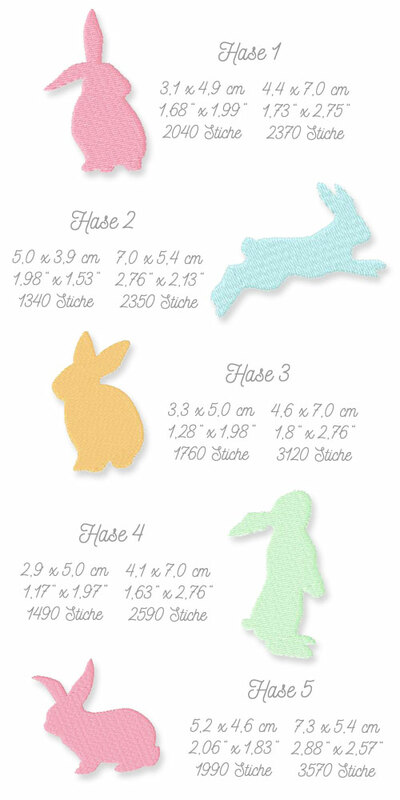 With this collection you get a total of 20 cute bunny files, each bunny in 2 sizes. You can place several bunnies around a glass wind light, or you embellish the bag for the Easter morning egg-seeking event. 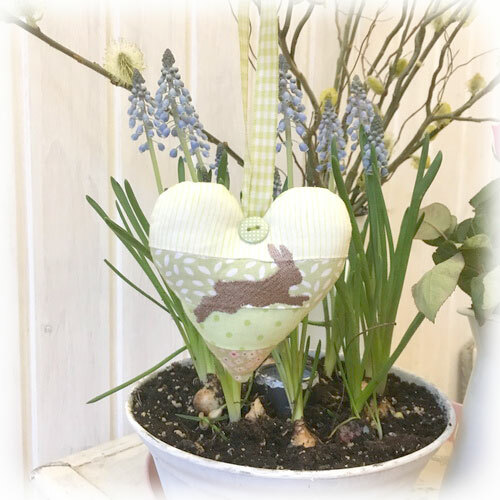 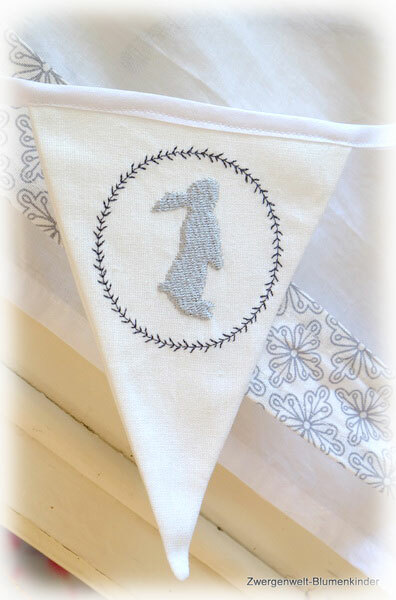 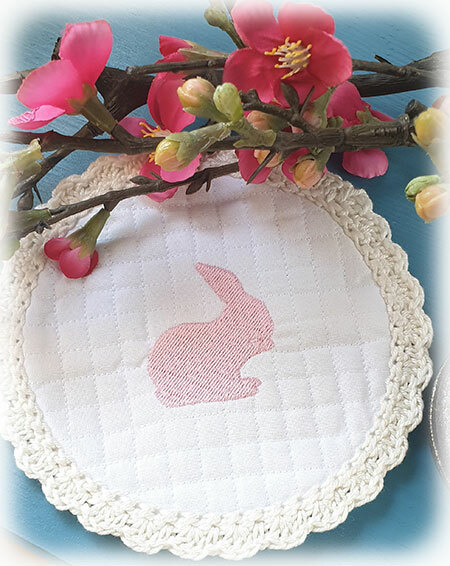 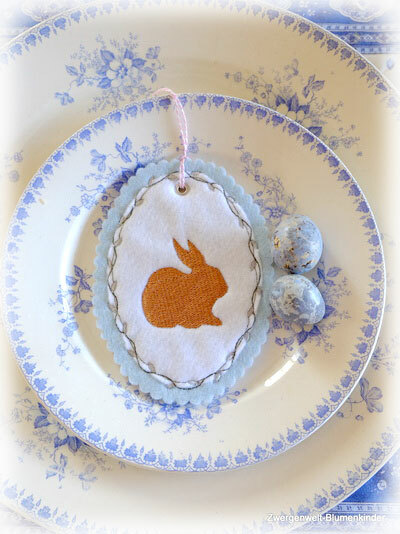 Simply embroider our bunnies onto you spring tablecloth. 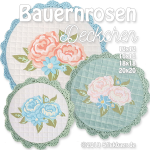 All motifs are for the 10x10 cm (4x4") hoop. 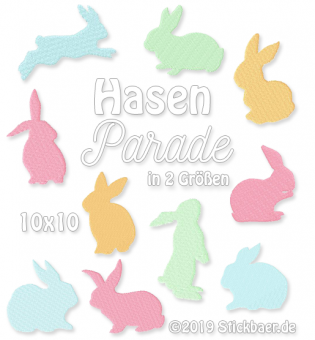 How they will look when finished, what the real size is and a lot of samples for the Bunny Parade by our testers can be found here.